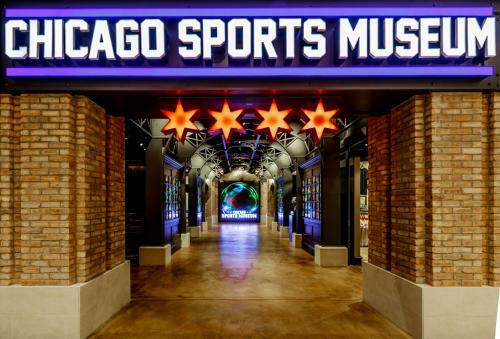 Anchoring the 7th floor of Water Tower Place, 7th Inning Stretch and the Chicago Sports Museum combine to create a high-energy, 23,000 square foot complex offering dining, entertainment and retail to go along with stunning meeting spaces. 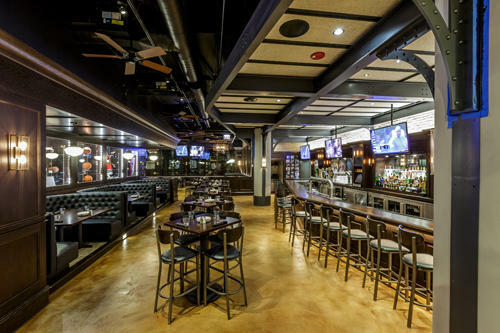 Sports fans and foodies will find everything they need at the new Harry Carary&apos;s 7th Inning Stretch, which serves classic American comfort food with a reimagined spin. The menu, complete with burgers, farm-fresh salads, and oven-fired pizzas is complemented by an innovative drink list. Cocktails and curated wine lists round out the offerings, making 7th Inning Stretch a worthy dining destination. Adjacent to the restaurant, the Chicago Sports Museum can be rented out for private events with receptions up to 700 guests or for seated events up to 260 guests. Smaller spaces within both establishments can also be rented out, with 7th Inning Stretch providing all catering. Natural light flows in through the massive windows providing fantastic lake views from the 8,000 square foot museum, which can be enjoyed in between highly interactive museum exhibits exploring the legends and lore of Chicago sports. For more information planning an event at the Chicago Sports Museum, visit their website or call 312.631.2001.